Krakow is just full of great and unique coffee places so it’d be a shame to drink coffee in just any random cafe or at an international chain. 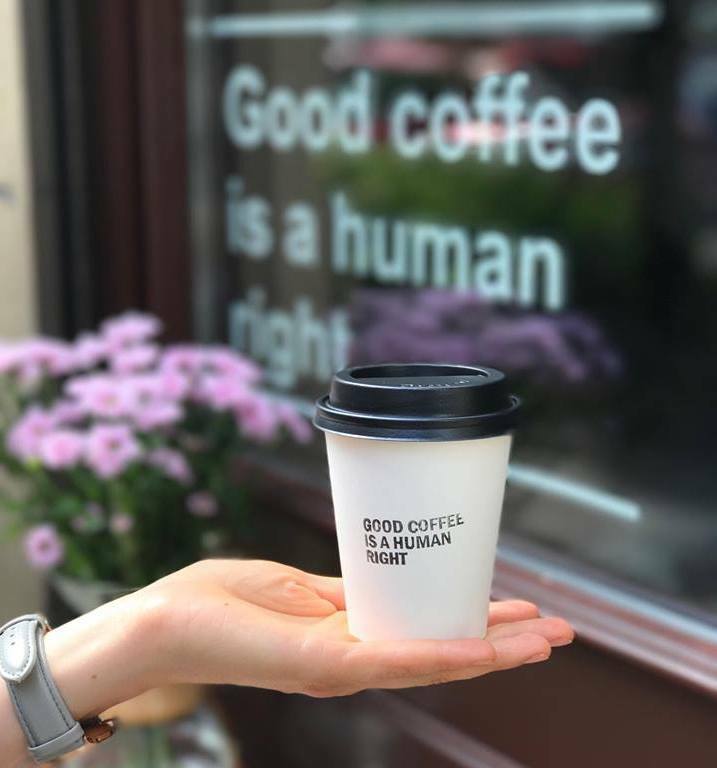 Recently, we have been lucky to see an increase in the number of artisan coffee shops in Krakow that use independent roasters and different modern and classic brewing techniques. Since such high-quality coffee is still a growing sector in Poland, local roasters are constantly working to educate others about how to brew better coffee by offering monthly cupping events. On our tours, we often get asked by our guests for recommendations on where to find the best coffee shops in Krakow, so we decided we should make a list specifically for all the coffee lovers. Here are our recommendations for the best Krakow coffee shops. Enjoy! Java Coffee was one of the first specialty coffee roasters to open in Poland. Their Krakow coffee shop, located on Joselefowicza Street, is open from Wednesday to Sunday. This is not only the perfect place to find an excellent cup of coffee but is also a showroom where workshops are led. The mission of the Java Coffee team is to spread coffee-drinking culture and their helpful baristas will be happy to advise you on the perfect beverage and brewing method for your tastes. This tiny coffee shop occupies just a single room and is located in front of the Hala Targowa (Market Place), one of the busiest places in town. As you sit and enjoy a coffee, roasted by Krakow’s own Coffee Proficiency, you can people-watch and observe the bustling daily life of the city. You’ll find this friendly little cafe situated in the Zabłocie district, not far from the Shindler Factory Museum. Zabłocie is an old industrial district that has been developing over recent years and is now bustling thanks to the help of the many offices and companies in the area. Coffeece serves a variety of roasts from different companies such as Etno Cafe, Audun Coffee, and Coffee Grange. And this cafe carries more than just coffee, with different types of coffee brewing accessories and products from local designers also for sale. For the past six years, this company has been roasting coffee in Krakow. They have their own coffee shop, located near the Main Square on Krupnicza Street. Every day, they serve their own roasts for both espresso and filter coffee. Their food menu changes daily, according to what’s available and in-season. They also have a location on Sw. Wawrzynca, in Kazimierz, where they brew and serve coffee on the weekend. They are also known for their vegetarian and vegan dishes, with gluten-free options available. With its cool interior and shaded garden, this cafe is the perfect place to work or meet with friends. It has been open for three years and is located near the Central Train and Bus Station. This cafe serves coffee from different roasters including Krakow’s Coffee Proficiency and Casino Mocca in Hungary and they are happy to prepare you the classics, like cappuccinos and espressos, while also offering beverages made with trendy new brewing methods like Chemex and Aeropress. Their wide food menu features a variety of different dishes and an assortment of craft beer and wine.